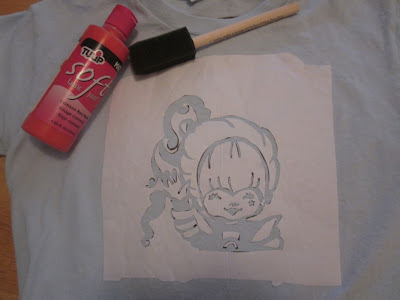 I've done a few freezer paper stenciling projects before, and I really enjoy seeing the outcome. I thought I'd share my most recent one. 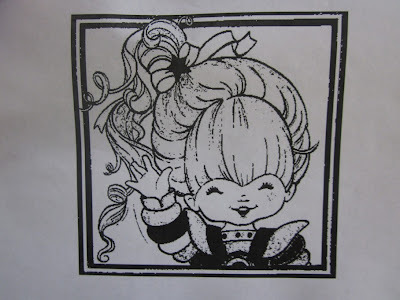 I wanted to make a Rainbow Brite shirt for my daughter, so I googled Rainbow Brite and found and printed the image below. 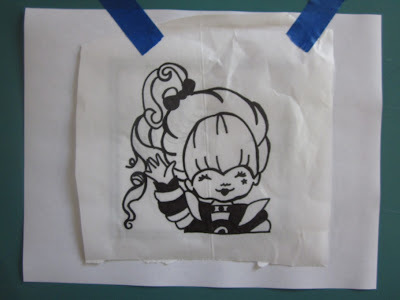 I traced the image with a sharpie onto freezer paper (find it in a big roll near the tin foil), simplifying the design to make cutting easier. The most tedious part is cutting out all the black parts with an exacto knife. If you have a machine that cuts for you, that makes this project really simple, or just go with a less-detailed design. 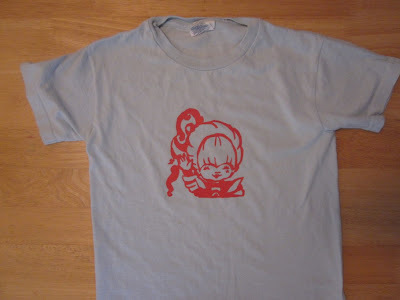 Save all the white parts that might get removed in the process, then carefully place them all on your shirt, and iron them in place. 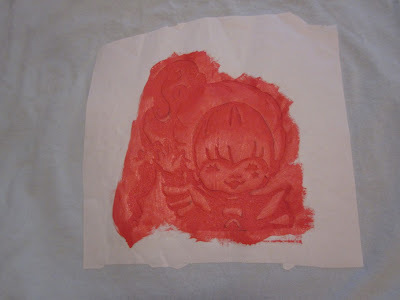 Paint with fabric paint. I did about 3 coats, letting them dry in between. And the funnest part in peeling off the freezer paper when it dries!